The UK Timber Trade Federation (TTF) and the European Organisation of the Sawmill Industry (EOS) are organising an international conference on ‘European Oak: Production, Consumption and Market Dynamics’. The event will be held at The Building Centre in London on Wednesday 18th April 2018. Speakers from Key Producers Countries includes Mr Rafal Gruszcynski, from the Polish Economic Chamber of the Wood Industry, Mr Martin Kunst and Marijan Kavran from the ‘Croatian Wood Cluster’, Mr Jean Bernard Bahier (Société RBD) and David Chavot (Société Margaritelli). 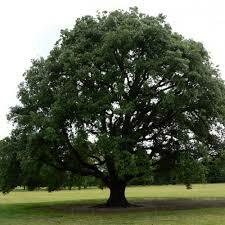 Oak is one of the world’s most iconic trees and one of the most popular species for the European design market. Its colour, texture and durability make it ideal for a huge range of applications in flooring, furniture and interior design. This half day conference will examine the current market dynamics for the European Oak market in a global perspective, looking at issues affecting oak supply, and whether European producers can continue to meet demand. Attendance at the event is free, but registration is essential. Please CLICK HERE to register and download the agenda of the event.